Virtual Reality is a technology that has suffered more than its fair share of false dawns over the years, but it’s finally starting to find a place for itself thanks to smartphones being capable of powering VR headsets that are essentially goggles that sit in front of our eyes. Those goggles then house the aforementioned smartphone and voila, a virtual headset is born. 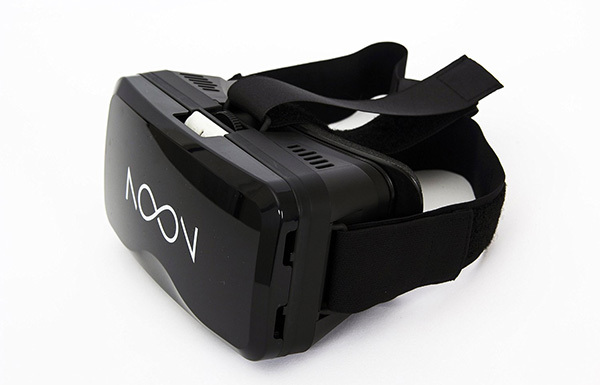 If you own an iPhone and the thought of shopping for a VR headset has you a little panicky because you’re either worried about the potential cost or simply don’t know where to kick the shopping process off, then you’re in luck. 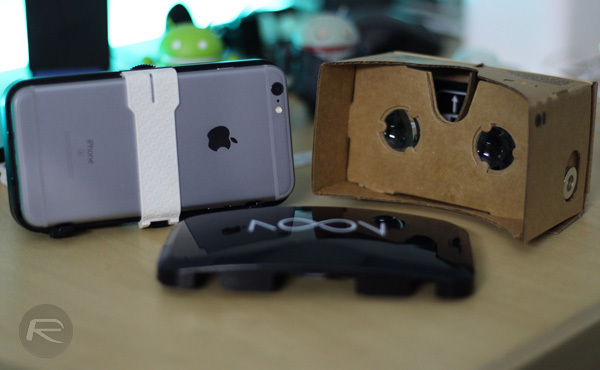 Here, we’re going to share five different iPhone-compatible Virtual Reality headsets that won’t break the bank and all bar one can be picked up for less than $50 apiece. If Virtual Reality is the future, then it sure is cheap. Compatible with any smartphone smaller than 6-inches, this headset is relatively affordable at $45 and it looks much more substantial than some of the others on offer. 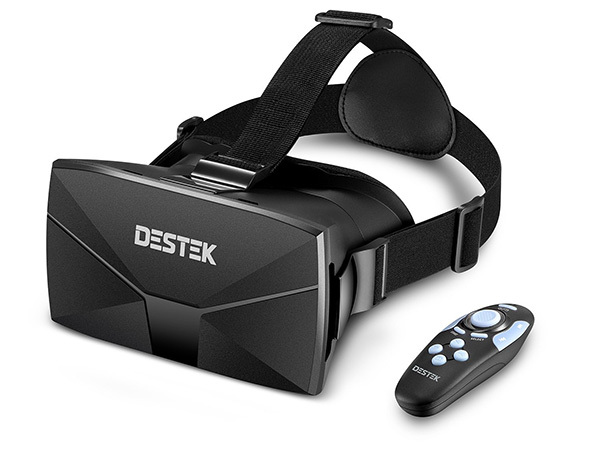 Complete with a multifunctional Bluetooth controller, the Destek offering is one to check out. 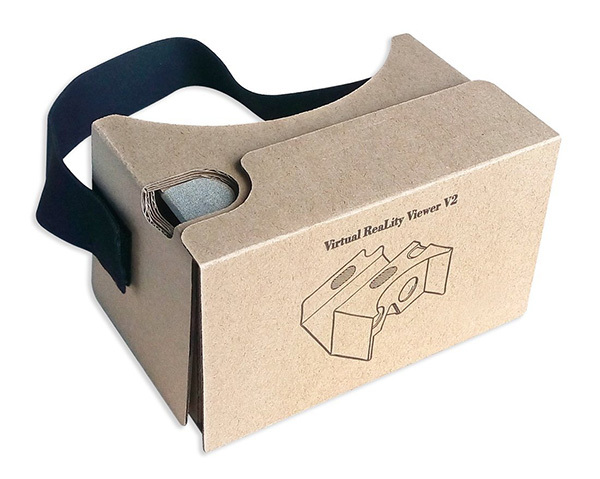 Based on Google’s own Cardboard 2.0, this option is certainly the cheapest one thanks to its $18 asking price. But it may not necessarily be the most durable one because of its cardboard aesthetic. Given the price though, there’s little reason to not pick one up, even if you only use it a few times before the novelty wears off! Again, suitable for any phone up to 6-inches big. The most expensive offering here at $89, this headset certainly looks the part. When we think of Virtual Reality headsets, this is what we have in our mind’s eye. It’s not cheap, but cheap isn’t always synonymous with good! 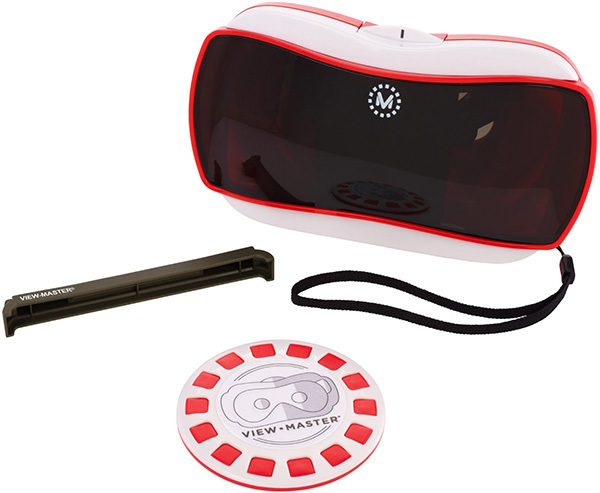 Designed by Mattel and at just over $20, this headset would be the cheapest around if it wasn’t for the Blisstime Google Cardboard headset we mentioned earlier. Brightly colored and looking a little like something out of a 1980s movie, this kid-friendly option is cheap enough to give a try if the cardboard alternative doesn’t float your boat. 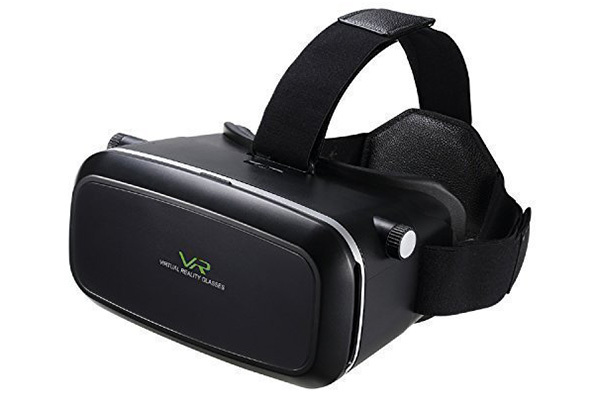 At $46, it’s neither the cheapest nor the most expensive option around, and it does look the part of a good quality Virtual Reality headset. Featuring NFC capabilities and a headband that looks like it will keep the whole thing firmly in place, this option is one to be considered if you’re willing to spend the money. Quite where Virtual Reality is going long-term is anyone’s guess at this point, and whether any of these headsets are any more than gimmicks will depend on your thoughts on VR as a whole. Things have come a long way in the last few years and we can’t wait to see where they go from here, and if you want to get a taster right now, then one of these five options should see you right, and with options to suit both ends of the budget scale, you can’t really go too wrong.